Along our ClimateMama journey we are honored and humbled to have the opportunity to meet so many inspiring Climate Mamas and Papas from across the country and around the world. One of these very special Climate Mamas is Heidi Cody. Heidi is a Washington State Climate Mama extraordinare who, through her art and activism, is helping climate campaigns and campaigners across the USA engage, educate and empower people to learn more about the climate crisis and to take action – at the same time inspiring and building climate hope. No campaign is too big, or to small. Whether you are part of a large organization, or simply want to share a project your local PTA or community group is planning, Climate Toothpaste could be the perfect platform for you! Learn more as Heidi, in her own words, introducing us to her Climate Toothpaste project. Share this post with the kids in your life. Show them how each of us can use our talents and our passions to do good and to help others do good too. 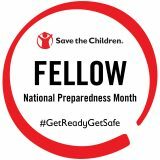 Do you know an artist that is using their art for good? 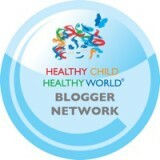 We’d love to share his or her story with our ClimateMama community! I’d like to introduce you to my project Climate Toothpaste. I’m an artist and designer, and a climate activist. Plus I have a wonderful child. I just can’t do all of those things well. And, I want to help more climate groups than I can. So, I fused my art with my activism, and created Climate Toothpaste. Wait a minute. Climate TOOTHPASTE?! Yes. It’s NOT toothpaste. (Sorry.) It’s a mass-produced art object: a real toothpaste box, covered with information about climate change. It’s eye-popping, and it sparks conversations about climate. You can’t put a price on starting conversations about climate change. One of the biggest challenges in climate activism is educating people. Another is getting people to join the movement. Climate Toothpaste does both. It connects people who care but are not active on climate, to local climate groups. How? Its enclosed Activist Activator letter describes climate groups in YOUR home state, and also has a list of tips to reduce your carbon footprint. I have partner groups that I gift Climate Toothpaste to, including Citizens Climate Lobby, Our Climate, and CarbonWA (of Washington state’s 2016 carbon tax ballot initiative). 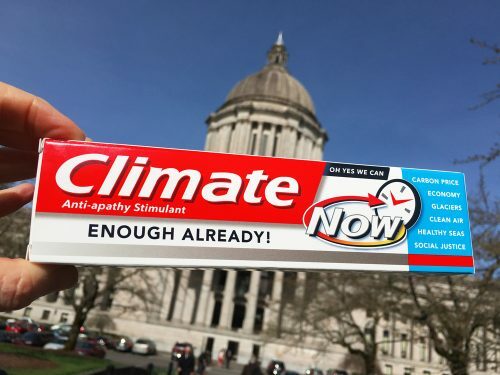 Our Climate and CarbonWA both used Climate Toothpaste in 2016 lobby days in Oregon and Washington–delivering brochures about pending legislation, in Climate Toothpaste boxes, directly to legislators. Climate Toothpaste is also fantastic for tabling. (“Tabling” is the term for standing at a table, trying to engage people. It’s a verb!). The boxes are so fun and unexpected, that passersby will come talk to YOU. This really works. Our Climate, a millennial group working towards federal and state-based carbon pricing, is now using Climate Toothpaste to recruit student leaders for its #PutAPriceOnIt campaign, on US college campuses. These young climate advocates are getting their colleges to endorse a price on carbon. 32 universities have joined the campaign so far. Here’s a free offer for you: If you do tabling for Citizens Climate Lobby, or are a tabler for a climate group and would like to try using Climate Toothpaste, email me at hcodystudio@gmail.com. You can try some at no cost (save for shipping). You can use one of my free 50 state-based Activist Activator letters. Or, you can put your own message inside the box. Need help figuring out your Climate Toothpaste message? That’s a design job I’d love to help with. Besides strategically gifting the boxes, I attend conferences and do events and art exhibits as Climate Toothpaste. 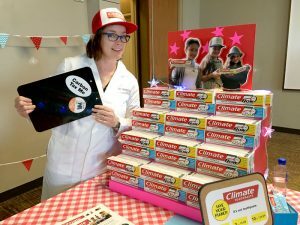 I also sell Climate Toothpaste boxes with letters, and fun swag at climatetoothpaste.com. 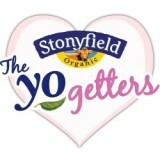 Please visit my website, and support this awesome mega-project. I also invite you to follow me at facebook.com/climatetoothpaste, where you can learn about climate action, and stay up-to-date on Climate Toothpaste’s latest adventures. 4 out 5 Climate Advocates Recommend Climate Toothpaste. 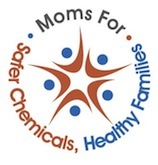 This entry was posted in Art, Fashion, Entertainment, Climate Mama News, Climate Mamas & Papas, Lifestyle & Fun, Take a Stand: Action & Advocacy and tagged Art and activism, Citizens Climate Lobby, climate art and activism, climate art. heidi cody, Climate Toothpaste, Our Climate, Washington State Climate Activism. Bookmark the permalink.